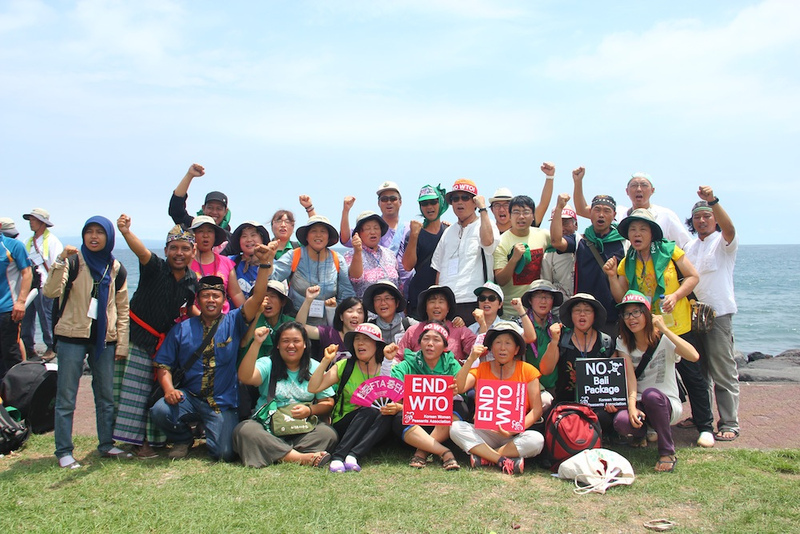 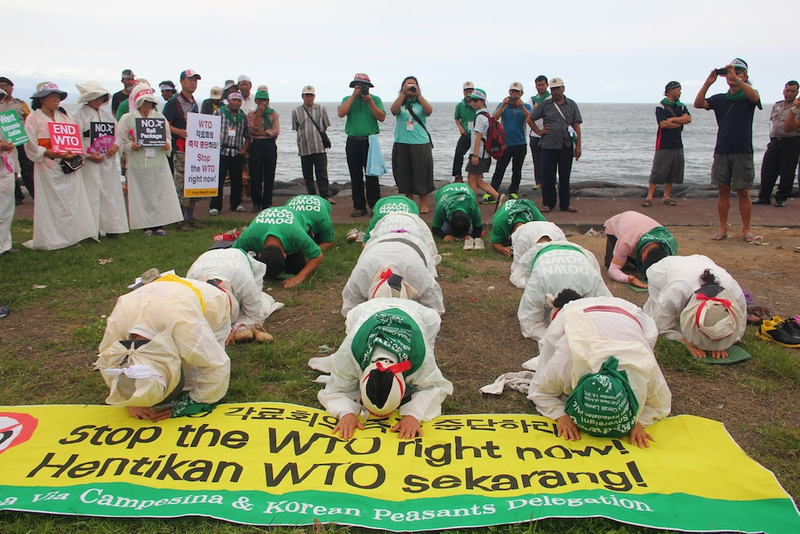 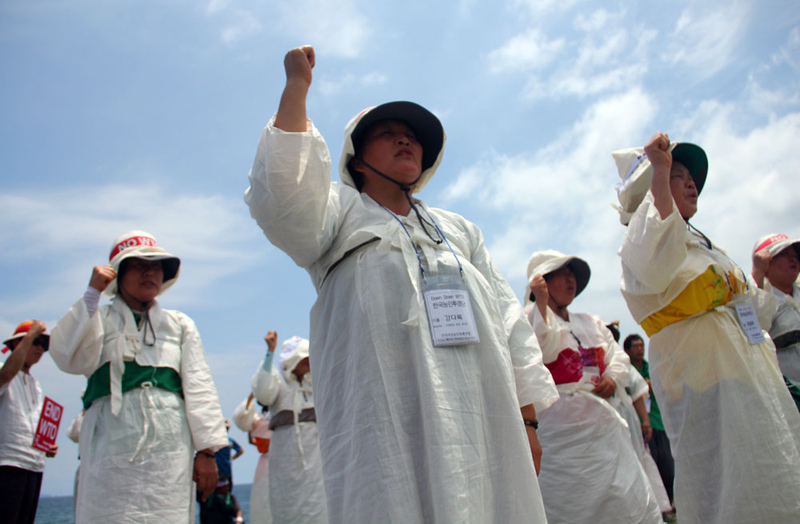 Korean Farmers carried out an action at the Sanur Beach in Denpasar, doing a death ceremony for the WTO . 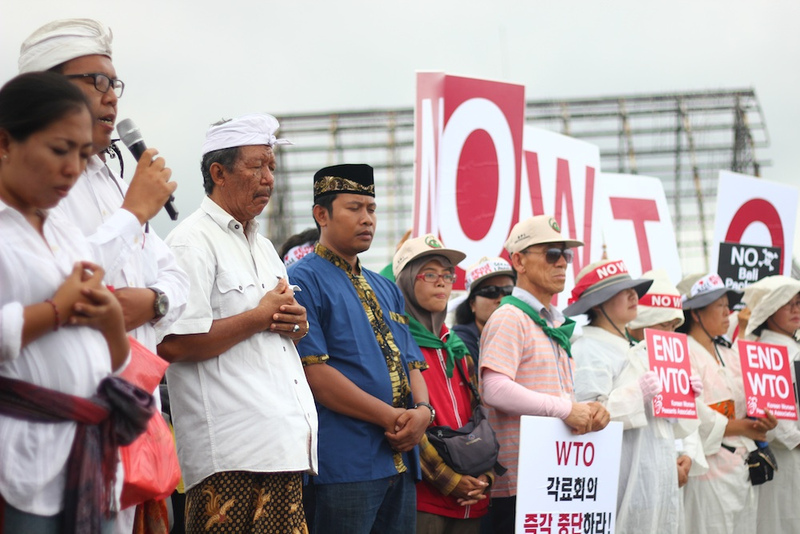 They made a hundred bows each in the Korean style to remember their comrade Lee Kyung Hae and highlight the disastrous impacts of the WTO. 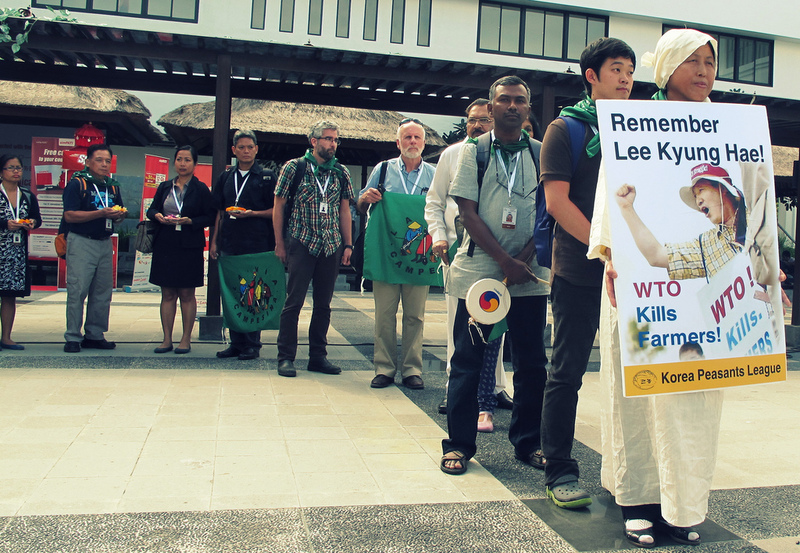 While inside, LVC members did a silent procession to remind everyone that the WTO kills farmers, and that the memory of Lee Kyung Hae, the Korean farmer that stabbed himself to death at the Cancun WTO ministereal in 2003, will never be forgotten.